Frustrations seem to be running high following the Celtics' 117-109 loss to the Knicks on Wednesday night. 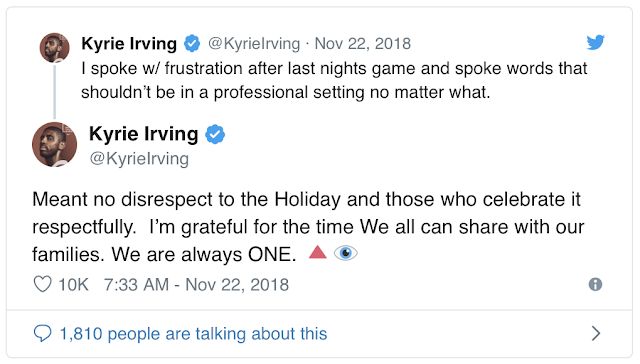 Boston is now .500, and star point guard Kyrie Irving clearly expects more. 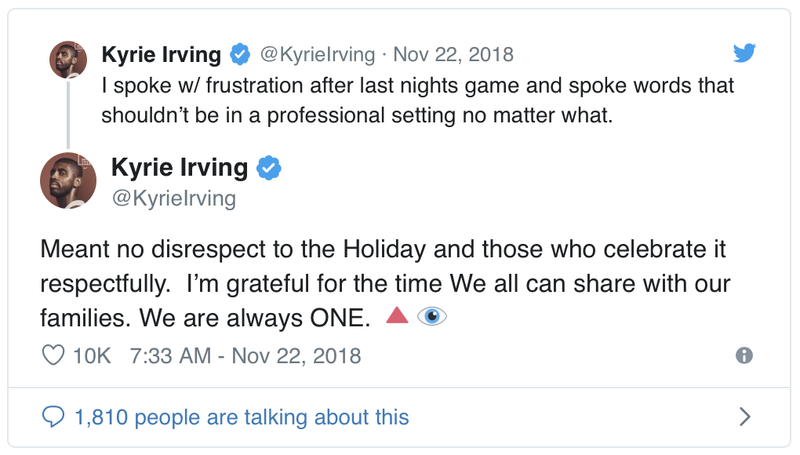 Irving caused a stir after the game, telling a reporter who wished him a happy Thanksgiving that he doesn't celebrate the holiday before saying "f--- Thanksgiving."